When I started Sidewalk Cinema 10 years ago, the idea was - and is - centered around building community through films. Since then outdoor cinemas have become fairly common place which is great. 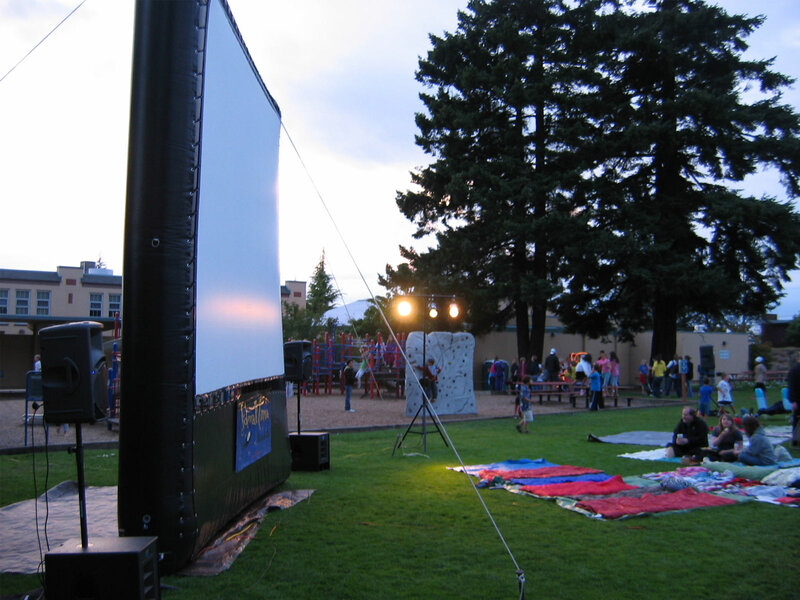 There are many communities showing outdoor films around here in the Northwest despite the relatively short outdoor season. And because we are so far north it stays light later so you need to be fairly dedicated to want to watch an outdoor movie around mid-June. Forget watching Lawrence of Arabia, at nearly 4 hours you would be up to nearly 2am. Although an all-night movie marathon would be a great idea. Sleeping bags optional. 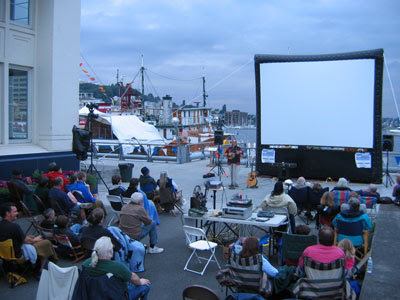 We started in West Seattle creating the outdoor walk-in cinema there and it is still going strong. The other long-term outdoor movie is over in Fremont which is where I got part of my inspiration. However, I also got inspiration from mobile cinemas that sprang up around Great Britain and in areas where a full-time cinema structure would not be practical. What I'd like to do in this blog is share my interest in outdoor cinema, mobile cinema, small cinema, personal cinema.